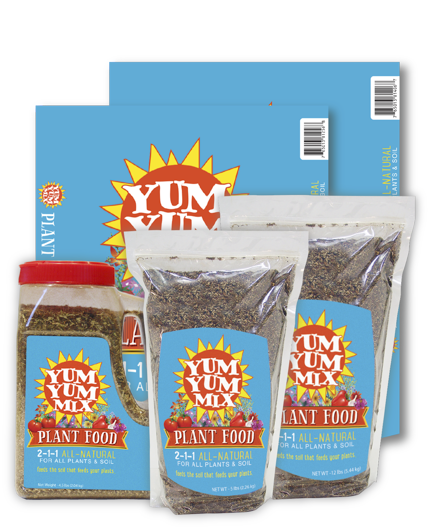 Yum Yum Mix® Plant Food is a non-burning all-purpose fertilizer and soil conditioner. It is a premium blend of eight natural ingredients providing a balanced plant food. 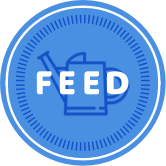 Yum Yum Mix® Plant Food improves soil tilth, moisture retention, plant vigor, and stress resistance. Used regularly, it helps create a balanced pH and a naturally fertile soil. Perfect for growing all annuals, perennials, vegetables, lawns, trees and shrubs.